Tom Bailey became the second man to 50 wickets in the top-flight of the County Championship on the same day his new-ball partner Graham Onions was capped. Onions, 36 on Sunday, was the only other bowler to reach the landmark before the 27-year-old. Bailey took 3-18 and Onions - who received his Lancashire cap from the club's director of cricket Paul Allott ahead of the first ball being sent down at Headingley - finished with 4-76 as Yorkshire crashed for just 209 in the Roses contest. The other three wickets went to debutant Richard Gleeson, following his move from Northamptonshire. The bowling performance from the visiting team enhanced their chances of a much-needed victory in the Division One relegation scrap. Liam Livingstone's team went into their penultimate match of the season a point and a place above second-bottom Yorkshire, who have a game in hand. The recruitment of Gleeson has undoubtedly added potency to their bowling attack. "We're really pleased to have signed Richard on a three-year contract," said Lancashire head coach Glen Chapple. "He's a quality fast bowler and is a player that will strengthen our attack in all three formats of the game in the coming years." 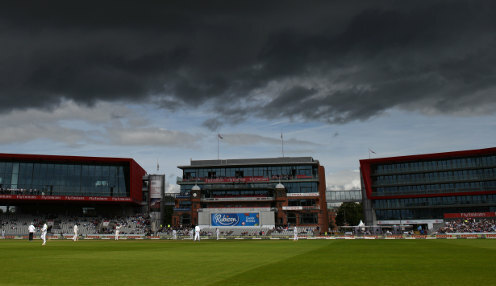 Lancashire are 5/2 to win the T20 Blast.